While food is essential for our survival, not all foods are nourishing for our bodies. Most people recognize the health problems associated with consuming too much sugar or fatty foods, but even healthy foods can cause issues for people with food allergies or sensitivities. With food allergy sensitivity testing, you can learn what foods to avoid and how to improve your diet to reduce your symptoms and strengthen your vitality. An estimated 20 percent of people suffer adverse reactions to certain foods. These adverse reactions are known as food sensitivities or food allergies. An “allergy” is when the immune system overreacts to something it encounters, rejecting the substance and triggering a biological reaction to defend the body from the invading organism or substance. For instance, if you were allergic to a certain type of flower, its scent may cause you to sneeze because your brain is signaling your body to expel the pollen. Similarly, consuming foods your body is sensitive or allergic to could cause a wide range of medical conditions. These conditions may occur in virtually every area of the body, with effects being as minimal as mild indigestion or as severe as celiac disease, arthritis, depression, or nervous system disorders. While this is a lengthy list, it is by no means all-inclusive. Other symptoms can also be indicative of a food allergy or sensitivity. With the information provided by food allergy sensitivity testing, you and your healthcare provider can determine a treatment program to reduce or eliminate your exposure to certain foods. By following a personalized treatment and diet plan, you can eliminate unwanted symptoms and reactions to improve your personal health. 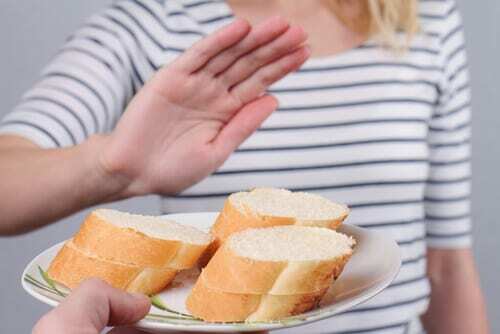 Food allergy sensitivity testing identifies immune system overreactions to certain types of foods so that you can know how to minimize your risk of symptoms. For more information, call us at (702) 660-4968or fill out our online contact form today.